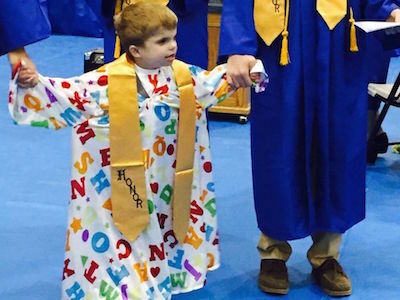 Terminally Ill 6 Year Old Boy Receives Honorary High School Diploma. 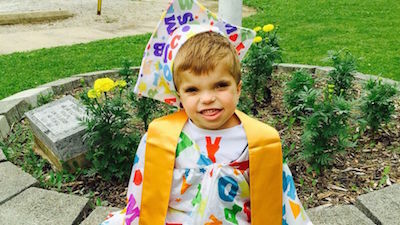 ABC News – A terminally ill six-year-old from Waverly, Illinois, was honored at a local high school’s graduation ceremony last week after the senior class requested that he be given a diploma. 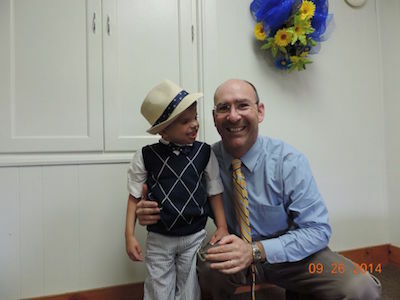 Jordan Planitz, who suffers from MPPH syndrome has cognitive issues and a shortened life expectancy due to his illness. 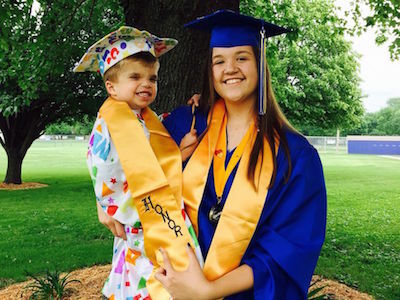 But after meeting with the graduating class of Tri-City high school in Buffalo, Illinois, earlier this year, Jordan made a lasting impression that inspired students to want to include him in their commencement. Following the ‘Principle for a Day’ event, Deanna invited the senior class to Jordan’s birthday party in April. But the celebration conflicted with a prescheduled senior class trip. The principal attended the party in the students absent and in turn invited the family to join him at the high school graduation ceremony on May 31. The experience was an emotional one for the family. 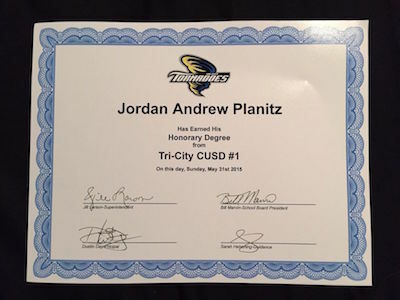 As Day presented Jordan with his own diploma, the entire gymnasium erupted with a standing ovation. 26 Mini-Me’s Guaranteed To Make You Smile! Son’s Of Anarchy Prequel: Is It Still A Go?